If you're a fan of shopping at Macy's, you may want to open a credit card account with the store brand. You can earn discounts and rewards based on your purchases at the store. 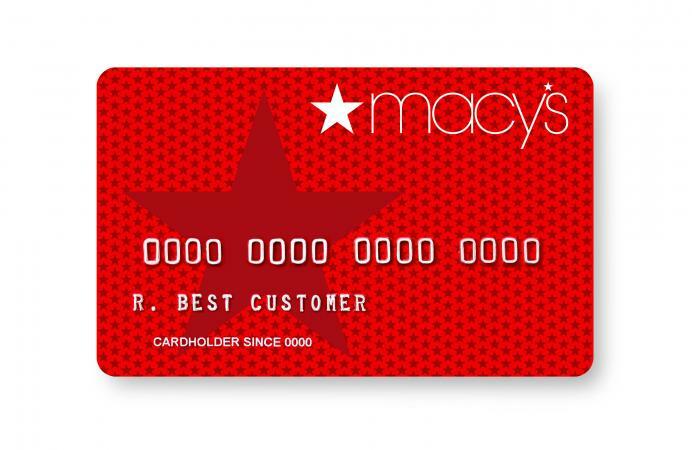 Macy's offers a store card that can be used at the retailer, as well as a Macy's American Express card that can be used anywhere Amex is accepted. Even though Macy's offers two types of credit card accounts, there is just one application. When you submit your application, you will be considered for both a Macy's store credit card and a Macy's American Express card. If you get approved for both cards, it is up to you to decide which account you want to open. Which Department Store Credit Cards Have Rewards? According to WalletHub, those with a fair credit score may qualify for the store card. Generally, if your credit score is between 620 and 650, it is in the fair range. For the American Express version, WalletHub indicates that a good credit score (or better) is necessary. You will need to submit your application through Citibank's website. If you decide to apply for a credit card account while shopping at Macys.com, you can easily click through to the application from the footer of any page. Just look to the bottom of the page and click the "learn more & apply" link. When you open either type of Macy's credit card, you will be automatically enrolled in the company's Star Rewards program, which is open only to the store's cardholders. The program was overhauled in fall 2017, and the benefits are very different than in the past. The Star Rewards program provides various benefits depending on how much money you spend with the store. If you make quite a few purchases from the retailer, these rewards can be quite valuable. Basically, the more you shop at Macy's using your card, the more benefits (i.e., discounts on shopping with the retailer) you will receive. Each cardholder is assigned to a star level based on Macy's purchases made using one of the store's credit cards. Silver: Cardholders will have silver status if their net purchases for the previous year total between $1 and $499. Silver Star Rewards members will receive Star Passes periodically, which provide them with the opportunity to receive 25% off their Macy's purchases on a day that they choose. Purchases must be made with a Macy's card. Gold: Cardholders with net Macy's purchases of $500 to $1,199 in the previous year achieve gold status. In addition to receiving Star Passes, Gold Star Rewards members receive free shipping with no minimum purchase on all online purchases from the brand using their Macy's credit card, as well as a special offer on their birthday. Platinum: Account holders whose net purchases in the previous year total $1,200 or more are elevated to platinum status. Platinum level Star Rewards members receive all the benefits of the previous levels as well as five percent cash back on all Macy's purchases made using their Macy's credit card. All new accounts are opened at the lowest tier. Throughout the first year, status changes 30 days after the qualifying purchase level is met. While the Star Rewards benefits may sound very appealing, you do also need to consider the costs associated with using these cards. There is no annual fee for either card, which is a positive factor. However, as of early 2018, both types of Macy's credit card accounts have an interest rate of 26.24%. That can add up quickly if you aren't able to pay your balance in full every month. While this isn't much higher than the average interest rate for cards that require a fair credit rating, it is quite a bit higher than the average rate for cards that require a good credit rating, as indicated in WalletHub's Credit Landscape Report for 2018. Basically, this means that if you qualify for the American Express version of the card, chances are that you could qualify for a different credit card with a lower interest rate. This is a significant fact to consider if you plan to carry a balance on the card. Before opening an account, you should also be aware that the account disclosure specifies that the fee for making your payment late or having a payment returned can be up to $38 per occurrence. If you're thinking about opening a Macy's credit card, it's important for you to make an informed decision - as with any credit account. If you are a frequent Macy's shopper and you want to get rewarded for your purchases, the Star Rewards program can definitely be appealing. However, the program's benefits can quickly be negated by steep interest rates if you carry a balance on the card. Review the cardholder agreement in detail before applying or activating your card (if approved), and be sure you understand all the fine print. Consider the real costs, as well as your purchasing and payment habits, and your current financial situation when making a decision.